Slowly but surely the progress bar is moving on the 50 at 50 Fundraiser (unfortunately it’s moving a bit too slowly to get us to the goal before the 17th!) 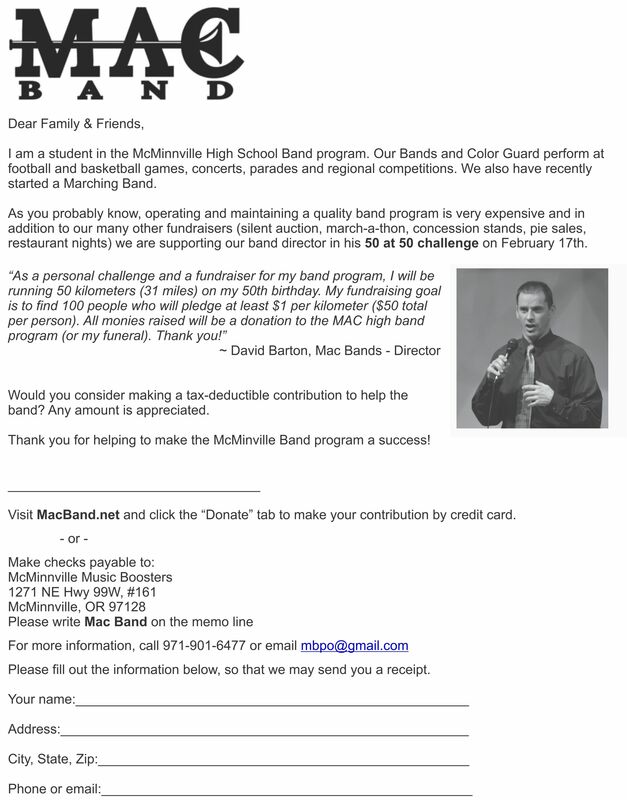 We are encouraging all students of the band and guard programs to ask 2 friends and/or family members to contribute to this challenge. 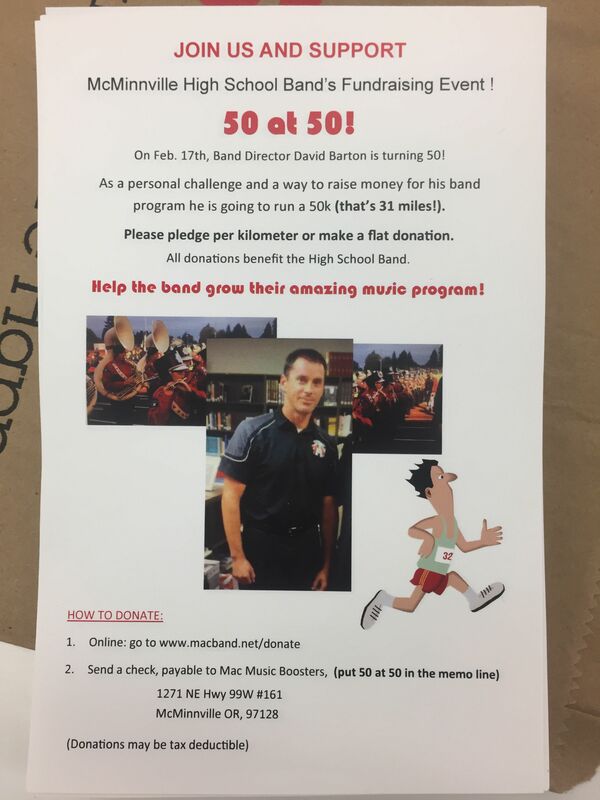 Flyers have been printed and delivered to the school, so please ask your kids to take a couple and do their part to get the band program on a solid financial footing! You’ll also find 2 flyers linked to this email that you can share or print. The first can be used by anyone and the second is the flyer that the kids should use. Just click on an image and thanks for your help!